Fourteen year old Alma is trying to find a cure for her mother’s loneliness. Her mother is translating a book called “The History of Love” and Alma goes on a quest to find the author. Nicole Krauss often has writers as characters in her books. I’ve also read her most recent book ‘Great House‘ which was nominated for the Orange Prize (see Archive May 2011). She uses many of her own family details in her stories. ‘History of Love’ is dedicated to her grandparents. She is married to author Jonathan Safran Foer who wrote ‘Extremely Loud and Incredibly Close’ (see Archive January 2012). There are some striking similarities between their books which were both published in the same year (2005). Both stories feature a young precocious child on a quest, both have old men mourning the loss of sons, both have painful reverberations from the war in Europe, and both authors use some of the same unusual typography. Krauss writes beautifully. Her descriptions are evocative and her characters are well portrayed right through to the soul. 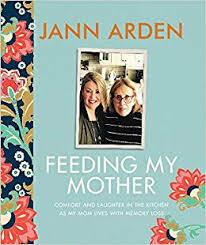 She captures the complexity of relationships and crafts a good story, although at times I find the thread in her books confusing and hard to follow. (When this happens a quick consultation on wikipedia is enough to keep me going; I’d rather put up with a spoiler and know what’s happening). She uses a common technique of alternating sections authored by different characters and what was helpful and enjoyable were the little icons at the start of the chapter indicating which narrator was coming up. In the end the pieces do come together. The final words of the novel are haunting, “He was a great writer. He fell in love. It was his life.” The book begins with the same thought in the dedication, “For my grandparents, who taught me the opposite of disappearing and for Jonathan, my life.” This book is a celebration of life and love, which to quote Leo Gursky are “words for everything”. 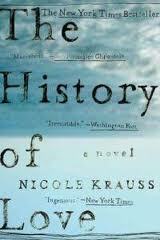 This entry was posted in Fiction, Four Star and tagged History of Love, Nicole Krauss, quest. Bookmark the permalink. Both History of Love and Extremely Loud and Incredibly Close use keys as important to the story. As they were both written in the same year by husband and wife – was this a plan- how to use keys to tell a story? I always thought that in some way there must have been. In any case, both books are outstanding.